Did you know it’s National Grilling Month? July is filled with tons of fun holidays, but grilling month has to be one of my favorites. I absolutely love grilling, especially during the Summer when we want good food that doesn’t heat up the house. Beer Marinated Grilled Steak with Cilantro-Lime Compound Butter by Frugal Mom Eh! I’d love to know: what’re your favorite grilling recipes? Thanks for featuring my grilled crisp! This is a great collection! This is AWESOME. Grilling is my jam. Can’t wait to try some of these out! 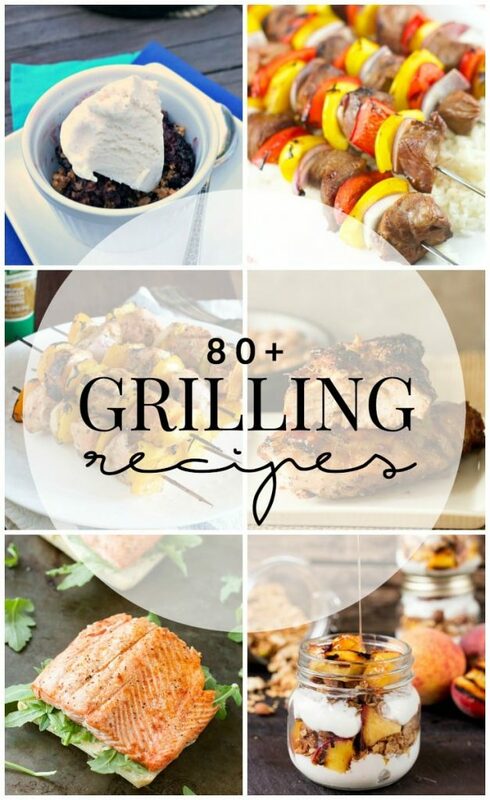 Such an amazing group of grilling recipes and bloggers! Thank you for sharing my recipe :). Love all of these grilling options. Enjoying sharing them with friends. Thanks for including the Simple Grilled Onions side.